Applications are invited for admission into the 2 year Full Time Program on M. Tech. in Information Technology in the Department for the academic session 2015-16 under PPP mode. Selection of candidates for admission shall be made on the basis of Entrance Test to be conducted by the Centre for IT Education, Department of Statistics, Utkal University on 08/08/2015 at 1 pm - 2.30 pm. 1) Master's degree in Computer Science/Information Technology / Computer Applications/ Statistics/ Mathematics / Physics / Electronic Sciences or any other qualification considered equivalent. 2) Bachelor's degree in Engineering /Technology or any other qualification considered equivalent (such as AMIEE or DOEAC 'B' Level). If the result of the qualifying examination has not been published by the time of admission, a candidate may be admitted into M. Tech. (IT) course provisionally as per the merit list, provided that such candidates shall submit their pass result & CLC before they fill-up forms for the 1st semester examination. Eligible candidates are required to apply to the course Director, Centre for IT Education, P.G. 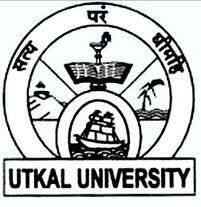 Dept of Statistics, Utkal University in the prescribed application form downloadable form the website http://www.utkaluniversity.ac.in, http://www.citeutkal.com from 28/07/2015. Candidates are required to submit tow Bank Drafts i.e., i) Rs. 150/- towards Application Form fees in favour of "Comptroller of Finance, Utkal University" and ii) Rs. 350/- towards Entrance test fees in favour of "Centre For IT Education, Utkal University" drawn on any nationalized bank payable at Bhubaneswar at the time of submission of the application form. The application forms can also be obtained from the department.